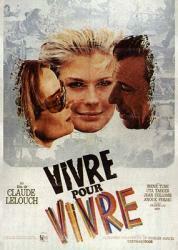 Drama, Italy/France, 1967, 130 min. Synopsis Because his marriage has become stagnant, Robert Colomb, a successful Parisian television news reporter, welcomes out-of-town assignments and the distraction of casual love affairs. Following a chance meeting with Candice, a 22-year-old American model, he accepts an assignment in Kenya and persuades Candice to accompany him. In Africa he films wild animals and a documentary on the training of French mercenaries. Upon his return to Paris a few weeks later, he feels conscience-bound to take his wife, Catherine, on a second honeymoon to Amsterdam. Candice follows them, and Robert, unable to resist the temptation to be with her, pretends to Catherine that he must return to Paris for 2 days because of censorship problems with his African film. In fact, he spends the time at a nearby hotel with Candice. Later, as he and Catherine are on their way home by train, he impulsively confesses his love for Candice, and Catherine gets off the train at Brussels without saying a word. Now free to do as he chooses, Robert takes an apartment in Paris with Candice. But he can neither forget Catherine nor find fulfillment with Candice, and he accepts a dangerous assignment in Vietnam. He is taken prisoner by the Vietcong but ultimately permitted to return to France. By now Candice is back in New York attempting to resume her former life, and Catherine has become a self-sufficient careerwoman. Robert follows her to the ski resort of Alpe d'Huez, where she is vacationing with her new friends, but she discourages his hopes for a reconciliation. As he prepares to leave, however, he finds Catherine waiting for him in his car.